With May behind us, the season has well and truly begun on Ibiza. The clubs are open, the weather is warming, and the smell of the fresh summer flowers is flowing through the air. 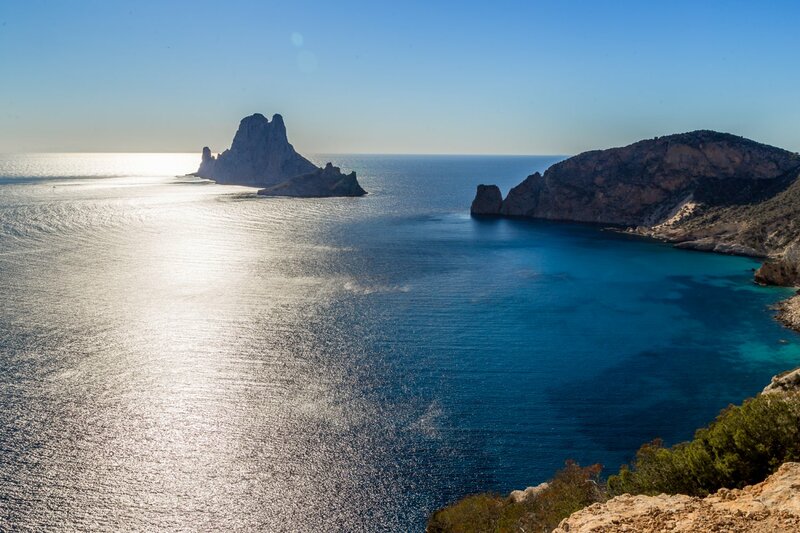 This month, there's fashion, parties galore and Ibiza Gay Pride is back with its colour and cheekiness Here's our pick of some of the best that June has to offer. The Ibiza Rocks' door smashes open with a fantastic double header of events early this month. On Friday, Rudimental will headline a pool party featuring Sonny Fodera and Oneman. The following day, Craig David and his TS5 DJ concept will take over the San Antonio hotel venue. DJ Q, Kojo Funds, and Amy Becker will also be performing. Dance, connect and create is what describes Cosmic Pineapple's day-to-night showpiece at Pikes Ibiza this month. Expect wholesome vibes and a welcoming atmosphere with meditation, yoga, music, and plenty of dancing on the itinerary. Release your cosmic side and open-up your root chakra with a visit to the famous hotel. If you want to see some striking designs from around 30 different designers, make your way to the 47th Adlib Ibiza Runway to see local creations in Ibiza Town's Marina Botafoch. The three-day event is a fabulous chance to see menswear and womenswear in both summer and winter collections. The first day will show work by 10 young Ibizan fashion designers from 20:00. Expect some sumptuous stuff inspired by the island. It went so well the first time that Aiyanna Ibiza is back already with it's terrific Beach Food Festival. So what do you get? Foods from the four corners of the world: Korean, Mexican, Italian and Indonesian, oysters, ice-creams and a barbecue. All this and DJ sets from Jon Sa Trinxa and Chino Piano plus live music by Kandela Mi Son and and circus art performances by Circolar. Even kids get a play area. We can't wait. More fashion plus music, and culture on the Sunset Strip in San Antonio? Sign us up. The Ibiza Fashion Festival is back for 2018 and will take place across two days at the Wiki Woo Hotel in San Antonio. There'll be pop-up shops and stores from a number of international fashion brands - as well as back-to-back DJ sets with live vocals from Happy Mondays' Rowetta. Ibiza Gay Pride has etched itself as one of the most important celebrations on the LGTBIQ calendar. Starting in Ibiza Town, the four-day festival features plenty of partying and parading in the streets, a boat party, a bit of fetish and a two club nights at B12 to start and end it all. Get colourful and explore what Pride is all about in this part of the world. Expect fire and festivities on the eve of San Juan's (St John's) day on Ibiza. Locals and tourists alike will take to the many beach bonfires across the island, with the more traditional celebration being held at the village of San Juan. From folk to fire dancing, there is something to do day and night across the island to commemorate the holy Saint. Italian techno duo Tale Of Us kick off their Afterlife season at the end of June, which gives us something to look forward to later in the month. The popular Ibiza party will be returning to where it began on the island, but this time under the freshly pressed Hï Ibiza sign. Expect an unforgettable opening party which features huge names such as Dixon, Maceo Plex, Denis Horvat, Mind Against, a Recondite live set and of course Tale Of Us themselves.